Discussion in 'Price Drops, Must-Have Freebies, and Deals' started by Habakuk, Apr 10, 2016. Free for the first time (except a launch sale). Very recommended! The IAPs are optional only. 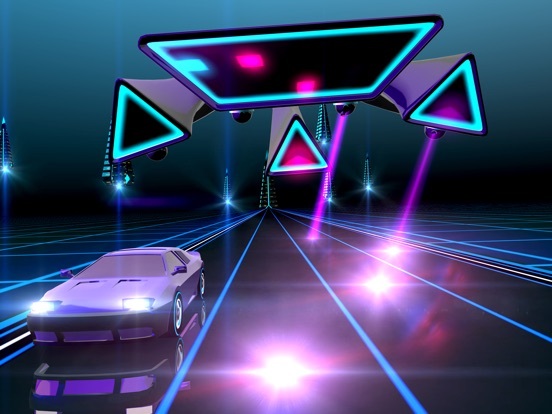 Neon Drive is a slick retro-futuristic obstacle-dodging game that will make your brain melt. You've been warned. 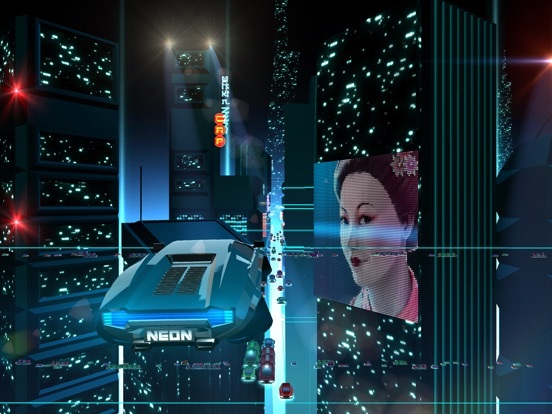 From beautiful cityscapes and ocean roads to exploding enemy spaceships, Neon Drive has it all. 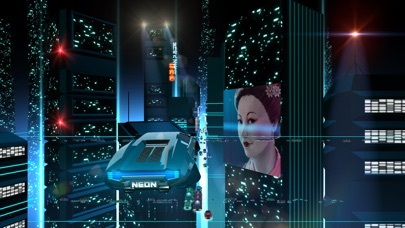 It's inspired by the arcade games of the 80's, but set against a futuristic backdrop of glowing cyber-grid, all in silky-smooth retina graphics. 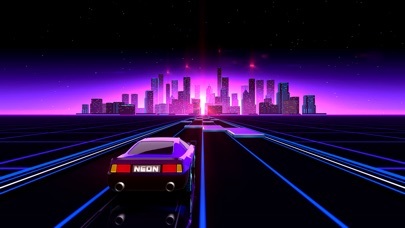 Neon Drive brings you 8 amazing levels, adding up to hours of enjoyment. 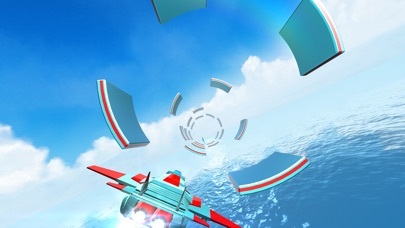 Each level features multiple twists and perspective changes, keeping you on your toes (err, wheels) throughout the gameplay. 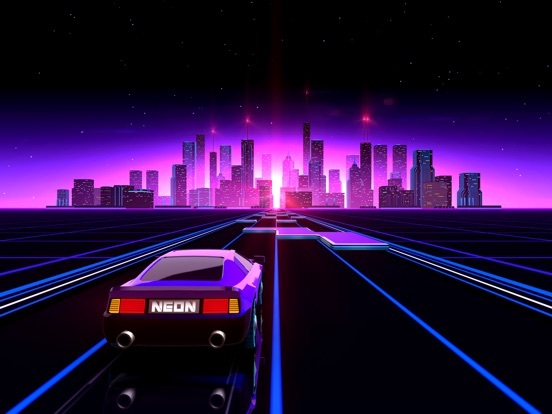 Neon Drive will put your mad dodging skills to a real test, mercilessly pushing the limits of your reaction time and short-term memory to avoid obstacles and dead-ends. Seriously, this game is wicked; just when you think you've got the hang of it, it turns the table on you. 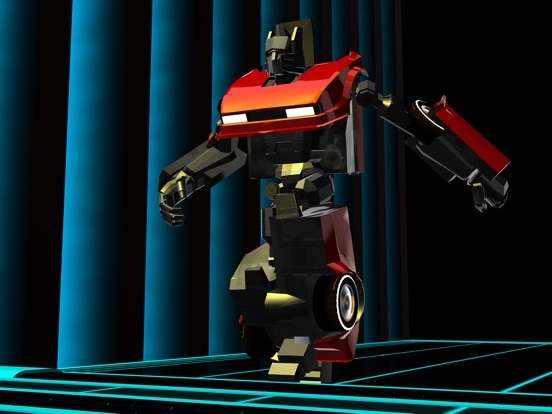 Each level of the game comes with a custom-made retro music track, perfectly tuned and in sync with the roadblocks and your enemies. This allows you to just tap the beat, unplug, and zen out. Watch the landscape seamlessly morph from one scene to the next, in a ballet of colors and shapes, and let your inner driver take the wheel. You've got this. 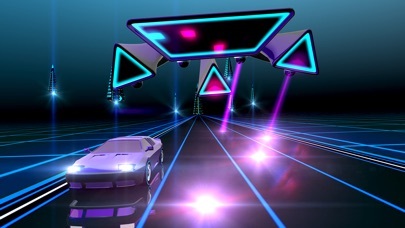 Features: * 8 levels, hundreds of obstacles, and infinite challenge * Breathtakingly beautiful and silky-smooth retina graphics * Custom-made retro synth music, perfectly in sync with the obstacles * Super addictive (Neon Drivers Anonymous support group available upon request ;-)) * Includes exploding enemy spaceships, seriously! 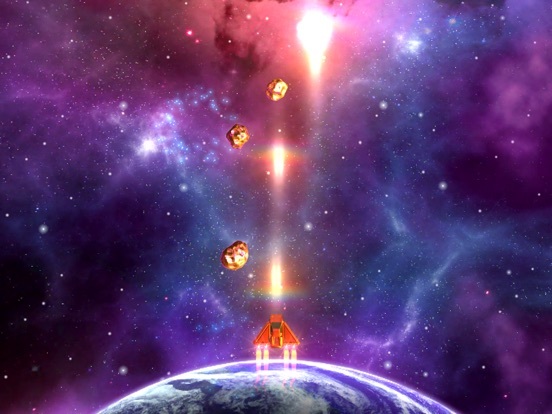 * If you can finish all 8 levels, we hereby certify you have superhuman abilities! I remember that it was free at launch.. Curious.... There is one IAP for a "key". Unlock all levels. 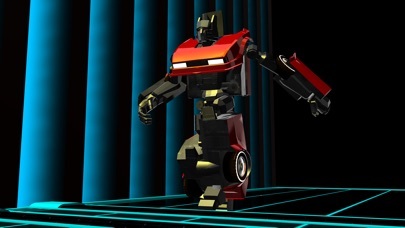 You should be able to unlock them all if you beat the previous stage in sequence (except for level 3), however. $3.99 jeez, this was free when it first released and wasn't very good then. Are these devs delusional?